darkSpyro - Spyro and Skylanders Forum - Video Gaming - All-Purpose Animal Crossing Topic: Now with more leafs! darkSpyro - Spyro and Skylanders Forum > Video Gaming > All-Purpose Animal Crossing Topic: Now with more leafs! All-Purpose Animal Crossing Topic: Now with more leafs! Due to previous All-Purpose topics being closed and the last 2 open ones are for discussion on rumor speculation, I have decided to bring forth the new All-Purpose topic! News and information will be periodically updates as new info is released! Welcome to Animal Crossing: New Leaf! Sundays in August - Fireworks Displays - Fireworks displays occur between 7PM and Midnight. Receive shiny accessories from Isabelle on the plaza. Buy fortune cookies from Redd to win rare items. Design to your limit! This is Animal Crossing: Happy Home Designer! Introducing the use of amiibo cards, coming with this game. If anybody wants to come visit my town, my Friend Code is 1118-0302-8828. We can set up a time to visit each others towns! Is it confirmed what the cards actually do? The cards are card based amiibo. They unlock new villagers for the happy home game for you to decorate their house. You scan them into the Happy Home Designer game and you unlock a new villager to decorate their home. Once you decorate their home, you can scan more villagers to come visit their home. also there is talk about these cards will work for the animal crossing u. that will be talked about at this year e3. That's if it even gets announced at this E3, which would be stupid if they didn't. The grand return that nobody asked for, epicLLOYD. The game everyone was asking for. Thanks Nintendo! Wow, when I saw the characters in HD, I was having a fit. Then the game play came in and I was so disappointed. The same with this Metroid game that was announced today. T-T Nintendo what are you doing?! more new ac amiibos and home designer cards is shown here..
You wouldn't believe how disappointed and mad I am about the Animal Crossing announcements being two spinoffs no one ever asked for. Ever. It's a Mario Party game. Made by the same people that made some of the worst MP titles imo, Nd Cube. That requires 4 Amiibo to be bought for almost $50 to have a normal 4 player Mario Party game or else you can't play the game. My sis (who loves animal crossing) is just getting the K.K amiibo. I'll buy the game to review on my insta and not touch it again, I'll just have it to say I own it. As for the amiibo I'M BUYING EVERY SINGLE ONE I LOOOVE ANIMAL CROSSING AND I CAN'T WAIT! 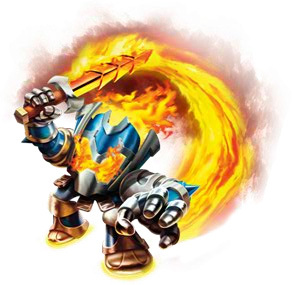 since this year skylanders is a lackluster, why not... i maybe doing the same, now that i have freed up a lot of cash for usage on other things than skylanders. And looking at the Youtube comments/dislike bar, everyone seems to have similar views. Happy Home Designer is fine. It actually takes an element of Animal Crossing that people enjoy and fleshes it out into it's own game. It's like Captain Toad: Treasure Tracker in that regard, and I don't mind seeing things like that. Amiibo Festival is silly because it's just plastering Animal Crossing onto something that isn't Animal Crossing. Not only that, but even as a party game...it's far too calm. There doesn't seem to be mini-games, the music is all cute and relaxing...it just isn't much of a party. Animal Crossing really isn't a fitting series for that. If they wanted to make a party game that isn't Mario Party 10 or Wii U Party, then they should have used Kirby or Pokémon, or maybe even Toon Zelda. Those are way more fitting thematically and could actually be cool. That said, I don't even play normal Animal Crossing games, but even I can see why Amiibo Festival was a bad idea. Animal Crossing Amiibo Festival Bundle Spotted, Details are scarce but according to the Amazon listing, the bundle includes a copy of the game, two amiibo figures and three amiibo cards – each of which unlock their own party game. I'm reallt excited for Happy Home Designer tbh. They just announced that Amiibo Festival ISN'T just a board game. It has other elements, it's just the only mode or whatever they can talk about right now. WHEW! Time to buy me some amiibo cards.. This post makes no sense. The game is still gonna have Amiibo locked sections in it but you'll react differently because it isn't Mario Party. This post makes no sense. Wow. So it's probably like Happy Home designer, where the first trailer completely neglected the cool parts of the game. Personally I'm excited for Amiibo Festival, as me and my friends are big fans of both Mario Party and amiibo. EDIT: So apparently (according to amazon), amiibo cards will be used in "fun minigames". I assume that all the symbols on them have something to do with it. They have a number, a type, a dice roll, and a rock-paper-scissors symbol. I wonder what it all means. I'm excited for Happy Home Designer, they went the entirely wrong way of presenting it though. Instead of showing "Hey, build your town without limit! Put in the villagers you want with Amiibo cards, or even make your town have a theme or story to it, do whatever! ", they said "Decorate other villagers houses for them!". That's not how you get people excited for your game. The developers talked about the amiibo sharing the data between the two games. This has the potential to be really cool. also the amiibo festival is not gonna be free, an amazon listing with a game box is already out there.. I'm guessing they'll simply unlock a new villager you can put in your town. I hope that's what they do, at least. Please tell me that they aren't trying to tell two figures, three cards, and a disk of a free game for $60. There has to be more to this. Perhaps you can download it for free but it doesn't come with everything? 1. download it free from the eshop but then you need to go buy the amiibos separately. 2. buy the bundle with 2 amiibos, 1 amiibo card pack and the game on disc(free version). whatever you do, if you want play the game as it was intended to be played. you will end up paying more than $60 for this game, there is no way out of that. or else you will only be playing half the game..
Hmm, they stopped taking pre-orders. EDIT: Looks like we have detail for the American card packs. Each one will have five villagers and one special character. EDIT2: Animal Crossing amiibo Festival's Amazon page has $60 for the game, and no listed price for the "bundle". It also states "Another mode challenges players to help animals gather supplies to build a raft and escape an island before time runs out." I'm getting the New Leaf soon! This account has been closed in favor of a new account name. WHEN WILL THIS TOPIC GET BUMPED!